Yesterday was crap. It was aweful. Some people have problems with highs, I have problems with lows. Bad lows. I hadn't had any really horrible ones since starting the pump over a year ago... and then yesterday happened. It's not so much that I went really low as the fact that I was riding the edge of a low for hours, seemingly regardless of what I ate or altered. And that, to me, is worse than a full-out low, because in those numbers between I get really, really disgustingly nauseous. 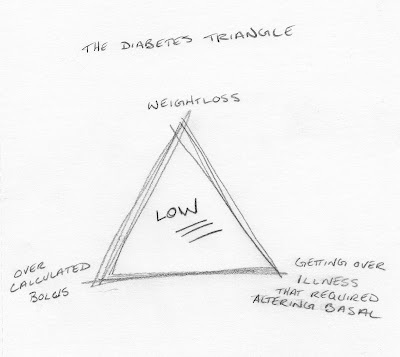 I don't know exactly how it happened, but I have a theory: the diabetes triangle. As you can see from the scientifically calculated diagram below the triangle involves three points (weightloss, overcalculated bolus, recent illness requiring basal adjustments) that combine into the perfect storm. 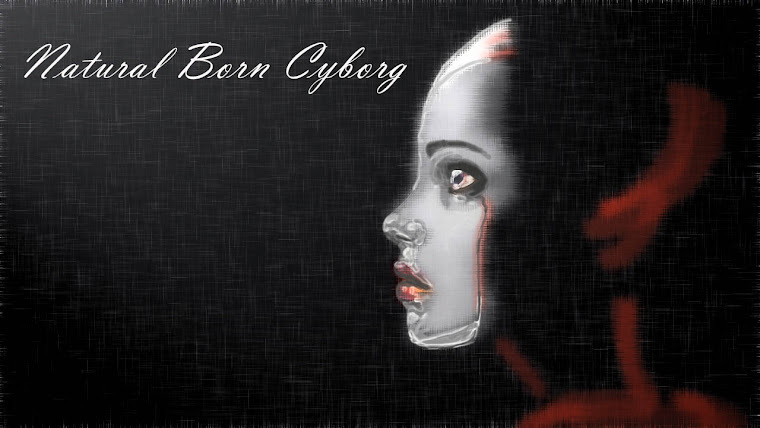 While in this tempestuous state all traditional monitoring and diabetes navigation apparatus breakdown and you must survive based on instinct. Said instinct usually involves gross amounts of food, coupled with temporary basal reductions. Generally, when emerging from the triangle monitoring systems and sensibility return to previously working states... usually reading high, though yesterday I somehow made it out with the relatively normal 10.0 mmol/L. After this fiasco, today I was reminded of the horrible lows of the olden days of Lente and Regular insulin... Unfortunately, that also provoked the 'terrified to eat because I'll have to bolus' feelings of said yesteryears. Ahhh. The Perfect Storm of D-crap. Lente? OMgawd, I shall now have nightmares. Hope today and the coming days are better. Yeah, Lente is like the Freddie of diabetic nightmares.